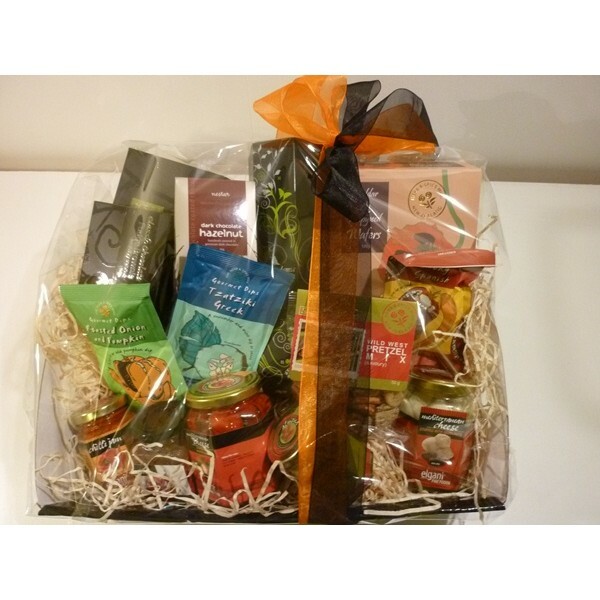 A scrumptious combination of Dips, Relish, Pesto, Chilli Jam, Cheeses, Crackers, Nibbles, Chocolate Brownie, Shortbread and Tea. This mouth watering Gourmet package is presented in a gloss black cardboard tray on a bed of wood wool and is full of extra special treats unavaliable at the supermarket. The perfect gift for any occasion.